The Landmark Condominium is located at the east end of the famed Turnberry Golf Club and next to the Porto Vita development in Aventura. It has some of the most arresting views in the area with views of the Intracoastal, Atlantic Ocean, and city. The building dates to 1990 and contains 187 residences, many of which have undergone renovations, in addition to the numerous renovations to The Landmark. Floorplans are large and the views are stunning which has made residences retain value. Large floorplans are offered in two and three bedroom configurations and residences are between 1240 and 3010 square feet. The location in Aventura in addition to the amenitites make this an ideal pied a terre or first home. Aventura is located in the northeast of Miami Dade County and is equidistant between Miami and Fort Lauderdale. It offers a quiet respite within the heart of all of the action of South Florida. Aventura Mall and Shoppes at Bal Harbour are close by for incredible shopping and gourmet dining and casual dining abound. The Miami International Airport and Fort Lauderdale International Airport are both twenty five minutes away. 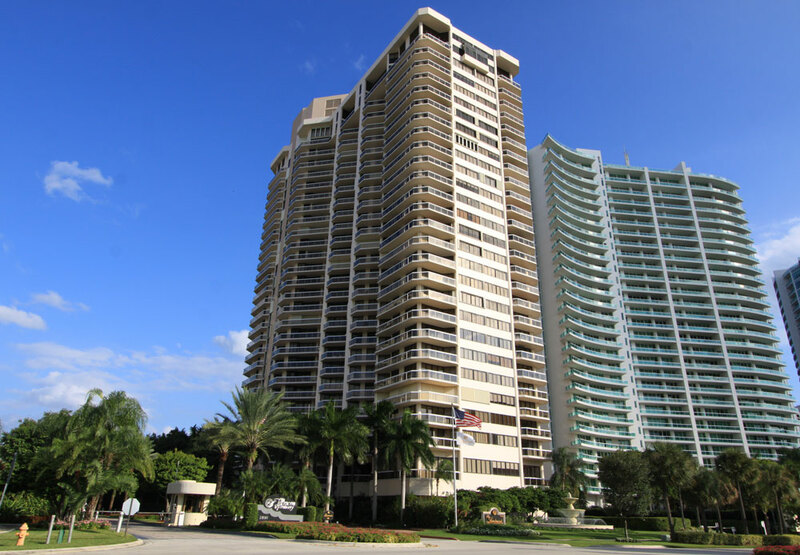 The Landmark is an excellent condominium in a prime waterfront location.